Boris Petrikovsky, MD, PhD, complains about the limited choice between “full-scope but mediocre products on one hand and excellent but single-function stand-alone systems on the other hand. 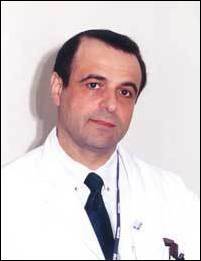 An integrated best-of-breed product helps patient care and clinical error reduction, financial performance, and regulatory compliance," says Dr. Petrikovsky, Chairman of Obstetrics/Gynecology Department at Nassau University Medical Center, Professor of Obstetrics, Gynecology, and Reproductive Sciences at Stony Brook University School of Medicine, and a recipient of numerous international awards and honors for his research work. Real time access to patients’ medical and financial records enhances both patient care and practice profitability. A totally integrated ASP architecture for practice management sets a new standard for practice workflow, profitability, and compliance management. MediEMR and Affinity Billing have announced a strategic alliance that features integrated Applications Service Provider (ASP) Internet-based architecture for total billing and Electronic Medical Record charting. Scalable from single-doctor practices to large multi-location clinics, the combined product is an intuitive and affordable medical office solution for reduced medical errors, increased coding levels, better patient communications, streamlined workflow and interoperability with partner providers. Medical practices served range from Obstetrics and Gynecology to Pediatrics to Cardiology to Chiropractic. MediEMR, LLC, based in Bedminster, New Jersey, evolves from RAL Consulting Group. Formed in 1991, RAL designs software solutions for Fortune 500 companies. In 2005, RAL released an affordable state-of-the-art EMR solution for ambulatory care physicians. MediEMR offers unparalleled ability to integrate with laboratories, imaging centers, and medical devices. Affinity Billing, Inc. is a Third Party Billing Service, Certified by New Jersey Department of Banking and Insurance and operating nationally. Headquartered in Marlboro, New Jersey, Affinity Billing consolidates billing services, tracks payer performance from a single point of control, and shares Medicare compliance rules globally. It guarantees improved practice profitability and 100% billing transparency. Dr. Boris Petrikovsky, MD, PhD, Chairman of Obstetrics/Gynecology Department at Nassau University Medical Center and Professor of Obstetrics, Gynecology, and Reproductive Sciences at Stony Brook University School of Medicine.Boris Petrikovsky, MD, PhD, complains about the limited choice between Âfull-scope but mediocre products on one hand and excellent but single-function stand-alone systems on the other hand. An integrated best-of-breed product helps patient care and clinical error reduction, financial performance, and regulatory compliance." MediEMR LogoMediEMR, LLC, based in Bedminster, New Jersey, evolves from RAL Consulting Group. Formed in 1991, RAL designs software solutions for Fortune 500 companies. In 2005, RAL released an affordable state-of-the-art EMR solution for ambulatory care physicians. MediEMR offers unparalleled ability to integrate with laboratories, imaging centers, and medical devices. Affinity Billing LogoAffinity Billing, Inc. is a Third Party Billing Service, Certified by New Jersey Department of Banking and Insurance and operating nationally. Headquartered in Marlboro, New Jersey, Affinity Billing consolidates billing services, tracks payer performance from a single point of control, and shares Medicare compliance rules globally. It guarantees improved practice profitability and 100% billing transparency.